When moving begins to look like a very real possibility or when a remodeling project is about to get started, you have a storage dilemma you need to resolve. What do you do with all of your stuff? How do you handle your personal belongings and valuables? Who do you trust with your treasures? Should you compare prices for storage units in the area, make your choice, and then haul everything in multiple trips with a pickup truck? Do you hire a company to take care of it all for you? What’s the best option for your situation? The best option for residential storage depends on your situation. 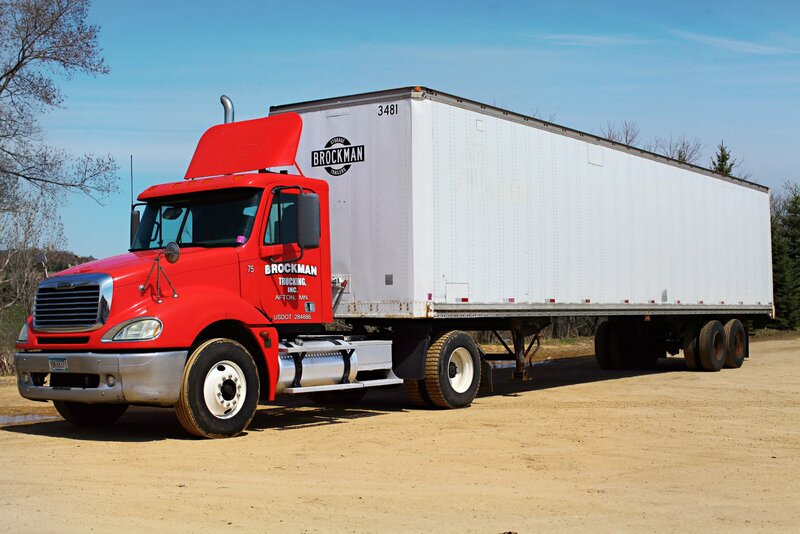 Whatever your situation, Brockman Trailers has the answer you’re looking for. Our solutions are best not only because of our equipment, but also because of our expertise. For 80 years, we’ve been meeting the storage and transportation needs of people in just about every conceivable personal or professional situation. Our safe, secure, watertight trailers give people the peace of mind they need when deciding to store, and even haul, their stuff. For most residential storage needs, we recommend a Brockman drop trailer. A drop trailer is, just like it sounds, dropped at your location for you to use. If you’re remodeling and need to get your belongings out of your home until the work is completed, you can load your things into the trailer at your pace. You can keep it there as long as you need it. If you’re moving, the packing process can be stressful enough without having to crawl over and around the boxes and furniture that are ready to be loaded. That’s why people who are preparing to move across town or across the state rely on our trailers to store their belongings. They can load the trailer at a pace that works for them and then have it hauled away, stored, or delivered when they’re ready. And with sizes that vary, you’ll be able to rent a drop trailer that accommodates your needs. So if you’re moving, remodeling, or removing cluttered storage, let us know. We can answer the questions you have about your storage needs and equip you with the solution that will meet your needs. Our expertise, our equipment, and our name can be trusted. Let us know when you're ready to decide on a residential storage solution.